"There! There is where I accidentally fragged myself." This week at PopMatters I stand on the precipice in Titanfall. The second DLC, Frontier’s Edge, recently came out and it’s done a good job of drawing me back in. I’m still having an excellent time with the game, but things are starting to get dicey. I think I may be reaching a crucial juncture: in the face of my opponents ever increasing skill, do I redouble my efforts and blaze my way into new territory or do I settle down to a quiet life and reminisce about the times I was able to score top spots on the leader board? The spirit is willing, but the pesky demands of life makes it hard. 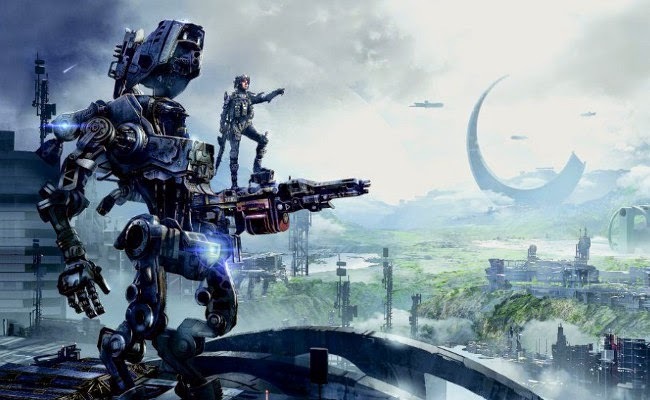 The frontier is a fitting metaphor in a broader sense, as Titanfall is starting to strain against some of the challenges that have grown around it for some time now. What is the place of a traditionally priced FPS in a world dominated by free to play MOBAs and other social games? I don’t envy Respawn’s challenge of having to fight for time with Call of Duty on one side and Dota 2 on the other. There’s also in gaming growing pains highlighted by the game’s updates. I made a quick video outlining how the most dedicated players will also have the most cumbersome UI/UX experiences. The problems are all manageable, but they to make the overall experience clunkier. I bought the season pass, so I’m in it for the long haul. I don’t regret it, both because I very much enjoy the game and because it’s given me a chance to see it evolve over the course of six months. I don’t know if I’ll be able to compete as Titanfall transitions into the next frontier and it’s unclear how it will address some of its growing pains, but it will be entertaining to watch.